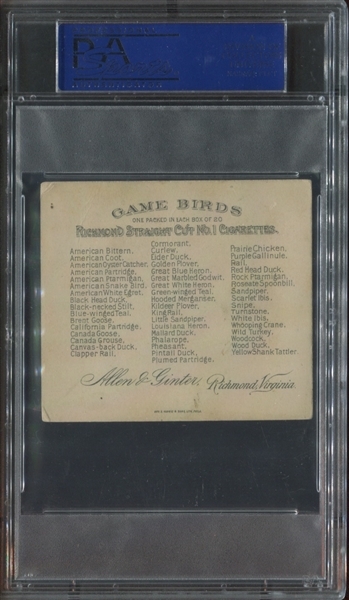 The oversized Allen & Ginter cards are beautiful upgrades to the smaller version cards. 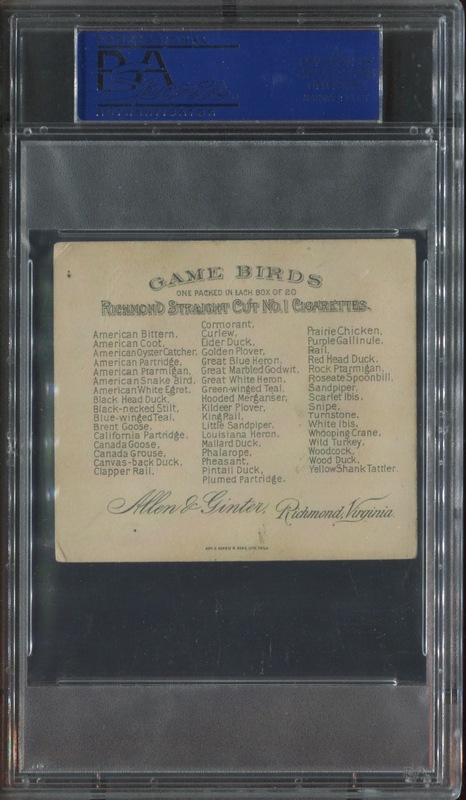 This lot contains (5) different N40 Allen & Ginter Game birds cards, all of which have been graded by third parties. 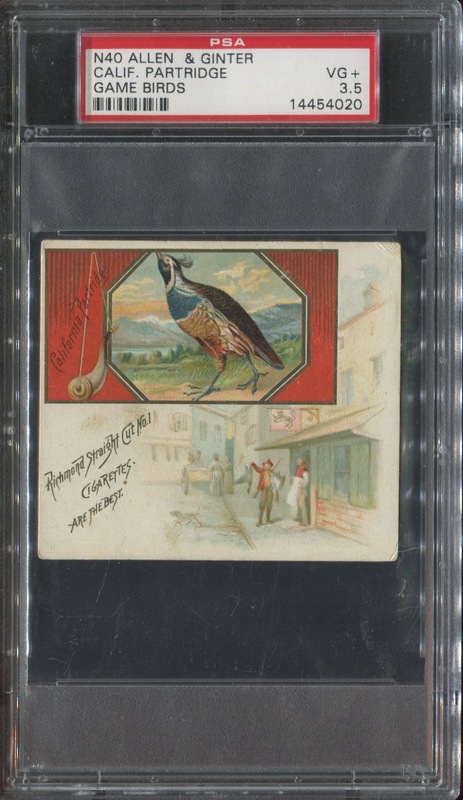 The lone PSA-graded card in the lot is the California Partridge, graded PSA 3.5 VG+. The remaining four examples have all been graded by SGC 50 VG-EX. 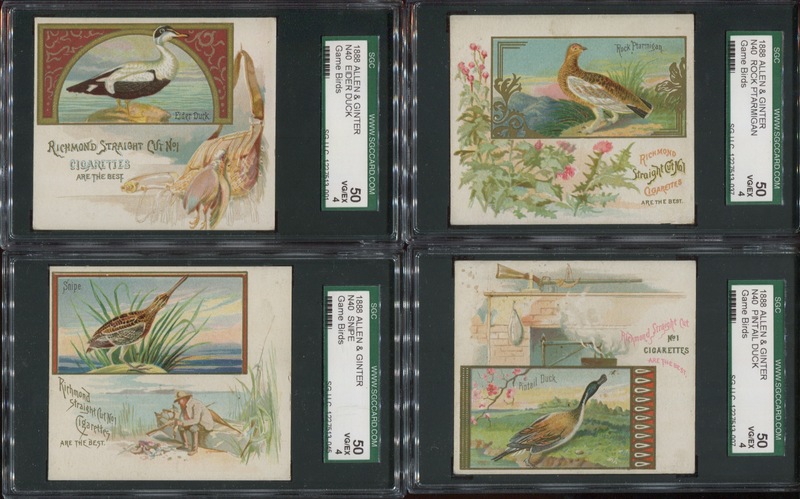 They are Elder Duck, Pintail Duck, Rock Ptarmigan and Snipe. 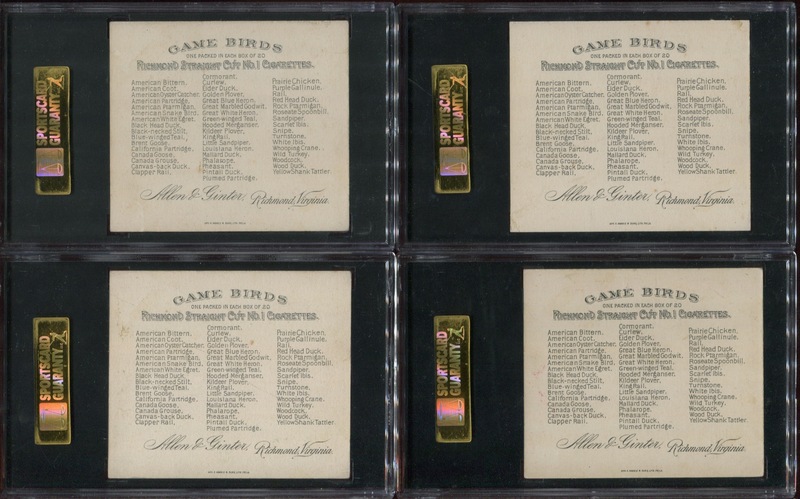 All 5 cards present very nicely with clean, well-printed backs and are probably about mid-grade for the issue.